Donald Ross was born on 8 December 1910 in Beverly, KS. He enlisted in the U.S. Navy at Denver, CO, on 3 June 1929 and graduated as company honorman from basic training at San Diego, CA. He completed Machinist Mate School at Norfolk, VA, first in his class and was assigned to the USS Henderson on a China service run. While serving aboard the hospital ship USS Relief (AH-1), Ross saw his first action (with the U.S. Marines) in Nicaragua in 1931. Advancing through the rates on the minesweeper USS Brant (AM-24); destroyer USS Simpson (DD-221); and cruiser USS Minneapolis (CA-36), he attained the rank of Warrant Officer Machinist in October 1940, and was assigned to the battleship USS Nevada (BB-36). During the 7 December 1941 Japanese air raid on Pearl Harbor, Nevada was badly damaged by bombs and torpedoes. Ross distinguished himself by assuming responsibility to furnish power to get the ship underway - the only battleship to do so during the Japanese attack. For his heroism he was awarded the Medal of Honor. Rank and organization: Machinist, U.S. Navy, USS Nevada. Place and date: Pearl Harbor, Territory of Hawaii, 7 December 1941. Citation: For distinguished conduct in the line of his profession, extraordinary courage and disregard of his own life during the attack on the Fleet in Pearl Harbor, Territory of Hawaii, by Japanese forces on 7 December 1941. When his station in the forward dynamo room of the U.S.S. Nevada became almost untenable due to smoke, steam, and heat, Machinist Ross forced his men to leave that station and performed all the duties himself until blinded and unconscious. Upon being rescued and resuscitated, he returned and secured the forward dynamo room and proceeded to the after dynamo room where he was later again rendered unconscious by exhaustion. Again recovering consciousness he returned to his station where he remained until directed to abandon it. He was presented the Medal of Honor by Admiral Chester Nimitz on 18 April 1942, becoming the first World War II recipient of the Medal. Ross was promoted to Chief Machinist in March 1942 and was commissioned an Ensign in June 1942. Later in the war, he also participated in the landings at Normandy and Southern France. He rose steadily in temporary rank to Lieutenant Commander by the end of the war, reverting to Lieutenant at its conclusion. He again received promotion to Lieutenant Commander in 1949 and to Commander in November 1954. Upon his retirement from active duty in July 1956, after twenty-seven years of service aboard every type of surface ship then afloat, he was promoted to Captain on the basis of his combat awards. Making his home in the state of Washington after leaving the Navy, Captain Ross was active in farm life and community affairs, and in perpetuating the memory of the Pearl Harbor attack, which he described as "not a story about a defeat. It's a story about a job well done." He wrote a book about his fellow Medal of Honor recipients - Men of Valor - published in 1980. He attended 50th Anniversary ceremonies at Pearl Harbor on 7 December 1991, during which a memorial was dedicated to his old ship, the USS Nevada. In 1997, the guided-missile destroyer USS Ross (DDG-71) was named in honor of Captain Ross. Captain Donald Kirby Ross died at Bremerton, WA, on 27 May 1992. 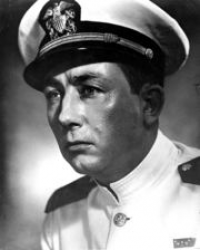 His ashes were scattered over the USS Nevada at Pearl Harbor.